The Department of Labor’s release last week of the worse-than-expected job numbers for the month of September set off the now typical back and forth debate about whether the federal stimulus is working. Joe Biden, Larry Summers, and Christina Romer have commented that the economy is still moving in the right direction and the loss of 263,000 jobs last month could have been worse had there been no federal stimulus at all. Another army of usual suspects claims that the dismal jobs report is proof that the stimulus package has yet to produce economic recovery. In a way, both camps are right. 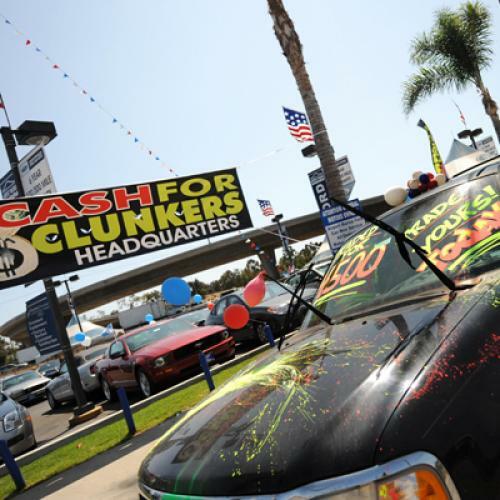 Several commentators have noted that temporary stimulus rebate programs--namely “Cash for Clunkers”--propped up the economy through July and August. Car dealers credited this effort for boosting their sales to the highest levels of the year. The First-Time Homebuyer’s Credit is said to be having a similarly positive impact through the real estate and construction sectors. So, in this sense, short-term federal stimulus has been working. Yet, because these temporary programs are short-lived, so too are the positive economic benefits they generate. The abrupt end of “Cash for Clunkers” led to a rapid reversal of growth in the auto market with the Big Three automakers seeing their sales decline 33 to 37 percent from August levels. And, the looming November 30th expiration of First-time Homebuyer’s Credit has already sparked concern that without this federal support, the housing markets will just reverse on any recent improvements. Sustained economic recovery, it seems, will likely not result from this sort of short-term stimulus. Speedy stimulus, like the rebate programs, certainly has a role to play in priming the pump, but it is not able to transform the fundamentals of the U.S. economy in any meaningful way, which is what is urgently needed to cement recovery over the long-term. Rather than spark new technological development, ease industrial restructuring, or motivate new consumer behavior, Cash for Clunkers and the Homebuyer’s Credit help to feed America’s unsustainable pre-crisis consumption habits. While they may temporarily ease job losses and catch falling housing prices, they do little to boost the nation’s capacity for innovation and generate the economic productivity needed to advance long-run job growth. On this front, some of the remaining stimulus dollars that have yet to be expended may provide a way forward. For example, the Broadband Technology Opportunities Program, which is set to begin awarding grants later this year, aims to build the next generation of communication infrastructure to promote economic activity with better access to markets and information. The Advance Research Projects Agency-Energy (ARPA-E), which is also slated to begin funding projects before the end of the year, seeks to support the development and deployment of advanced energy technologies to enhance U.S. economic competitiveness. And, the Department of Labor’s stimulus-supported sector-oriented workforce training programs (one of which just had an application deadline) may help to skill-up unemployed workers for type of jobs that employers need to ultimately expand their businesses. But, the effectiveness of these more “transformational” stimulus programs has yet to be proven, and even then, none of them are likely to generate large numbers of long-lasting jobs any time soon. And, therein lays the stimulus paradox: what works quickly in pumping dollars is not necessarily the same as what might produce sustained economic recovery.